One of the largest physician recruiters in the country says the market for private practice, at least among its clients, is drying up quickly. According to an annual review by physician search firm Merritt Hawkins(www.merritthawkins.com), less than one in 10 of the company's 3,158 search assignments between April 1, 2013, and March 31, 2014, were for independent practice settings, such as partnerships, solo offices, or concierge/direct pay practices. The vast majority of assignments were for employed positions, with 64 percent going to hospitals and the remainder serving large groups, community health centers, or academic facilities. By comparison, independent practice situations made up more than 45 percent of Merritt Hawkins' search assignments in 2004. 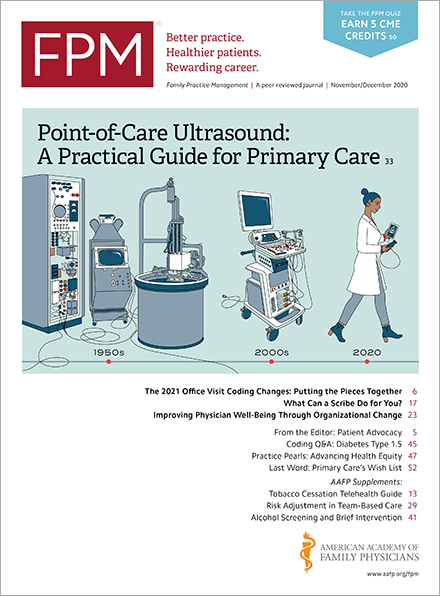 Researchers said the mounting economic and regulatory pressures of the Affordable Care Act and other changes in the health care landscape continue to fuel the shift of physicians, who typically view employed positions as more financially stable and free of the burdens of running their own practices. Overall, there were 714 searches for family medicine, making it the most requested recruiting assignment for the company for the eighth year in a row. The next most-popular search was for internal medicine, with 235 assignments. The average base salary for family medicine assignments during the study period was $199,000, the highest average in the last five years. That average salary is a little higher than the $190,907 found in a recent study of AAFP members. "Concierge" and other practice models where patients directly pay the physician a retainer or other regular fee for increased access has also grown. Merritt Hawkins said it completed 32 searches during the past year for these positions – only 1 percent of total searches but an increase from 10 searches two years ago. The ongoing shift of medical reimbursement from models based on volume to those based on quality and value has been difficult for health care organizations, and it shows in the incentives used to attract physicians. Researchers said only 24 percent of the company's recruiting assignments included production bonuses based at least partly on quality and value, a decrease from 39 percent of assignments during the previous year. Production bonuses based on Relative Value Units (i.e., the work units performed by a physician) are still the most common. Fifty-nine percent of assignments included that type of bonus versus 57 percent last year.